We offer comprehensive cardiac and vascular care – from prevention to treatment. Metro Heart & Vascular Institute is a full-service independent adult cardiology practice in Elgin, Illinois. We offer the most up to date treatments individualized to each patient. We offer state of the art technology, including echocardiography and vascular imaging in a comfortable office setting. With a high focus on interventional cardiology and amputation prevention, we strive to provide university level care in the suburbs. As an independent practice, our cost of care is lower than hospital or health system employed doctors, resulting in lower deductibles for our patients. 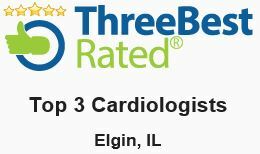 With our practice location in Chicago’s northwest suburb, close to I-90, we are located conveniently for cardiology patients from Elgin, Hampshire, Huntley, Crystal Lake, Algonquin, Lake in the Hills, Dundee, Barrington and Hoffman Estates. We usually have same day appointments available. Call 847-637-5333 to talk to our staff, or fill out the contact form below. Dr Abbas Rampurwala is an experienced cardiologist – click above to read his profile and to watch his video interview. State of the art technology for cardiologists, including echocardiography and vascular imaging. Metro Heart is affiliated with top hospitals in Chicago’s North-West. Dr. Abbas Rampurwala is an independent cardiologist, specialsing in interventional and peripheral vascular cardiology. 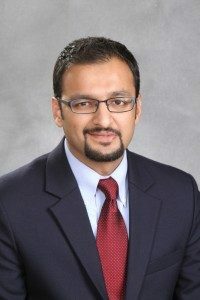 He is board certified and a fellow of the American College of Cardiology (FACC). We provide adult general cardiology care ranging from prevention and counseling to treatment. Our cardiologist Dr Abbas Rampurwala is a top rated expert in the field of interventional cardiology. In-office screening for cholesterol blockages allows for lower cost to the patient since there are no ‘facility fees’ added to the patients insurance bill. emergency angioplasty and clot busting therapies for limbs that are at risk of loss. Skilled in treatment of complex long blockages. Fellowship trained in advanced heart failure & transplant. Aggressive medical management for patients with severe cardiomyopathy and heart failure. Evaluation and referral to centers that are specifically designated for replacing aortic valve by minimally invasive procedure. We’re available 5 days a week and we usually have same day appointments available. To arrange an appointment, please call us on call us on 847-637-5333 during office hours (Monday to Friday from 10am to 4pm) or submit the form below outside our office hours.